Not being able to identify problem areas: If you’re unable to clearly hear each instrument, it’s often much more difficult to identify problem areas in the arrangement. Performance issues: If you can’t clearly hear your own instrument or voice, you’re likely to push yourself much harder than necessary. Additionally, it can be much harder to follow the arrangement or keep your timing when dealing with a sub-par mix. Don’t play too loud: Whilst I completely understand the temptation to turn everything up as loud as it will go, it’ll limit your ability to achieve a solid mix. Going loud will make it much more difficult for the vocals to cut through, which can cause vocalists to strain unnecessarily. Additionally, keeping things at a moderate level will encourage you to focus more on the arrangement, meaning you’ll better-identify the strengths and weaknesses of the performance. Set guitar tones/levels last: Many guitarists go about the level-setting process by simply dialling in a killer tone and turning the amp up as loud as it will go. However, this means that the guitars will most-likely overpower the rest of the mix. I’d encourage you start by achieving a good mix of drums, bass and vocals before adding the guitars in. Furthermore, dial in a tone that sits comfortably in the mix. Whilst your favourite tone might sound great all by itself, it might be overpowering the rest of the mix in a live setting. Use in-ear monitors: In-ear monitors are a real game changer. They allow you to achieve a crystal-clear mix whilst simultaneously protecting your hearing. Sennheiser’s IE 40 PRO Monitors (link to Amazon) are the best-value monitors I’ve used and offer a great mix at an affordable price. If you’ve got a little more budget, it’s worth investing in a dedicated set for the whole band, such as the Audio2000’S AWM6306U (link to Amazon). Show up on time: Turning up late severely compromises productivity and can ruffle the feathers of your fellow bandmates. If you consistently turn up ten minutes late to rehearsal each week, you lose approximately four entire rehearsal’s worth of time over the course of a year. Learn the material beforehand: Rehearsal should be viewed as an opportunity to tighten up material that each member has learned in their own time. Use the time you spend with the band to tighten up the material as an ensemble. Plan & structure the rehearsal: Each rehearsal should have a schedule indicating what needs to be worked on as well as how much time to spend on each activity. Make sure you include set up/tear down time, breaks and active discussion into your schedule. Rehearse on a consistent basis: Just like running a race, maintaining a consistent pace ensures consistent and measured progress. In addition, making small improvements on a regular basis will add up to a significant level of long-term success. Set short and long-term rehearsal goals: Goals offer framework whilst also providing a sense of progress and accomplishment. When setting goals, it’s best to focus on actionable and achievable steps instead of more lofty, unstructured end-results. Furthermore, it’s good practice to ensure your long-term goals are a direct result of continuously achieving your short-term goals. Keep a rehearsal journal: A rehearsal journal can be a hugely beneficial tool when planning future rehearsals or keeping track of your overall progress. Get into the habit of jotting down a few summary notes at the end of each rehearsal; make sure you note what you did, what went well and what could’ve been done better. Reviewing your rehearsal journal on a regular basis can help you effectively track your progress and note any recurring issues. Be ruthless: Adopt a take-no-prisoners approach to mistakes. If two members came in a couple of milliseconds apart, loop the section until they’re totally on-beat. If your singer didn’t quite make that top note, get them to practice it with just the drums. 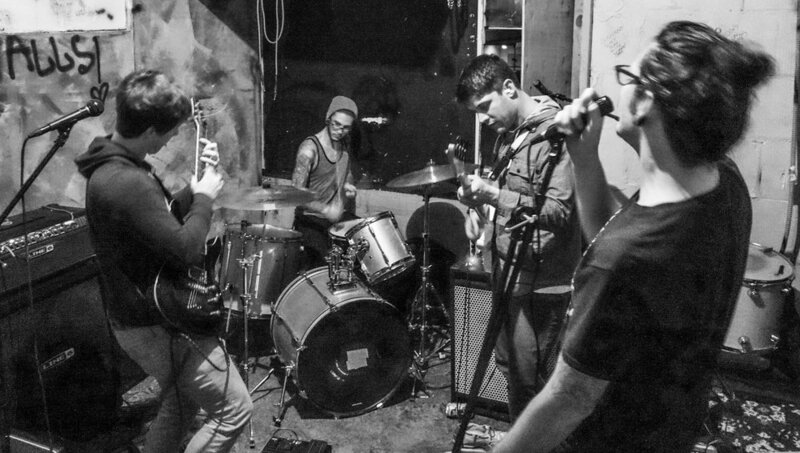 Rehearse in breakout groups: Many bands make the mistake of solely rehearsing material by running through it as a full band. Whilst this is a necessary aspect of rehearsing, it limits your ability to fundamentally grasp each element of the arrangement. Rehearsing in breakout groups (such as just guitarists or backing vocalists) allows you to fundamentally nail each aspect of the song before incorporating it into the full arrangement. Rehearse turnarounds and stops: Turnarounds and stops are two areas that’ll really stick out if they aren’t tight. For this reason, it’s well-worth looping turnarounds and stops until they’re completely on-beat. 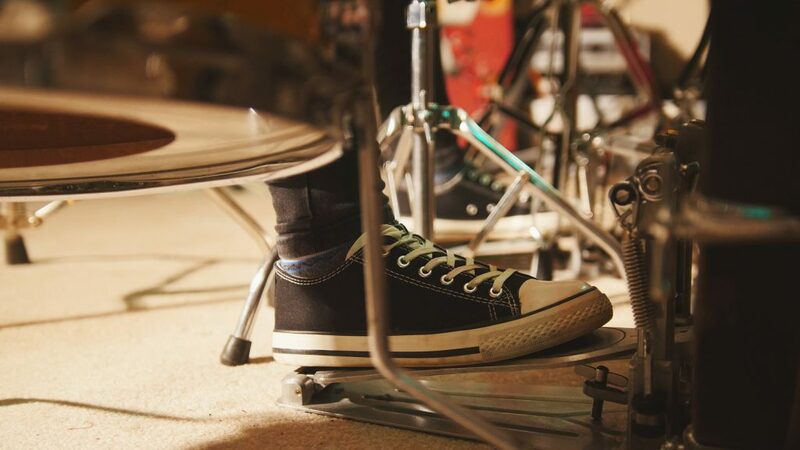 Rehearse in stage positions: Many bands will only ever rehearse in circle formation. Whilst this allows for easy communication between members, it can also make you overly-reliant on visual communication. When you’re stood on stage, it’s often much more difficult to communicate visually as you won’t be facing each other. For this reason, I’d strongly recommend rehearsing in stage positions at once before each show in order to better-hone your sonic communication. Rehearse stage presence & banter: I understand you might feel like an idiot doing this, but it won’t be convincing if you haven’t rehearsed it. Roughly plan what to say to the crowd and rehearse your stage presence in advance. Video your rehearsals: This is one of my all-time favorite rehearsal tips. Videoing your rehearsals allows you to view your band from an audience perspective, meaning you get an all-encompassing understanding of your stage presence and sound. I’d highly recommend buying a dedicated camera for rehearsals in order to leverage the camera’s memory and keep everything in one place. The best-value camera I’ve found is the WEILIANTE Digital Camcorder (link to Amazon), which is remote controlled and stores up to 30GB of data.